Hypertext Preprocessor (PHP) is a server-side open source scripting language commony used to create simple, dynamic websites quickly and effortlessly. Roughly 80% of web developers are choosing PHP. It is an efficient programing language used for dynamic website development, software and web applications. Uniweb IT solution offers interactive, Innovative, secure and user-friendly web solutions for fortune companies and top technology startups. We focus on delivering professional web application with the best possible and optimum option available to meet both business and industry requirement. It has the efficiency to control, supervise and direct to the traffic. It is easy to adopt & implement new version and technologies. 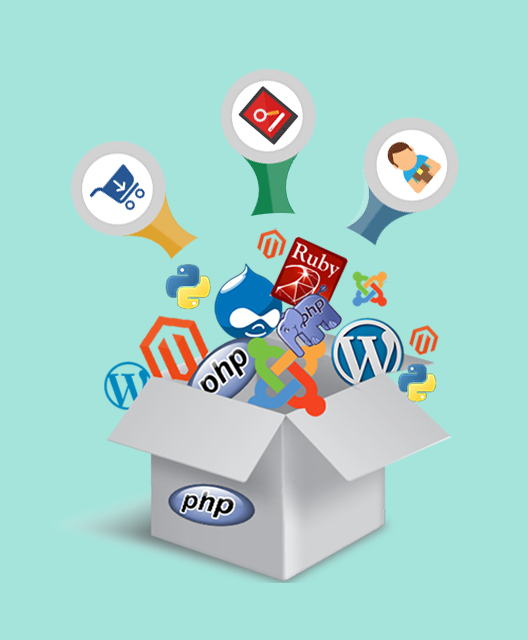 PHP supports all extensive range platforms like Windows, Linux, and Mac etc. It supports database and servers like Mysql, Apache, and IIS etc. It is cost effective and performance efficient scripting language. Easy and quick team support available from Uniweb qualified and expert team. Easy integration with open sources such as WordPress, Drupal, Joomla, Magento, Zencart etc. which reduces 50% of development cost and time. PHP is widely trusted web development platform and allows easy access to navigation, maps, etc., and it prevents your website from malware attacks. Best user-friendly and versatile platform gives multilingual support. Websites designed and developed using highly responsive PHP development tools , which has faster loading speed and support all the browsers, regardless of their versions. Subscribe to our newsletter!Get content like this sent directly to your inbox!